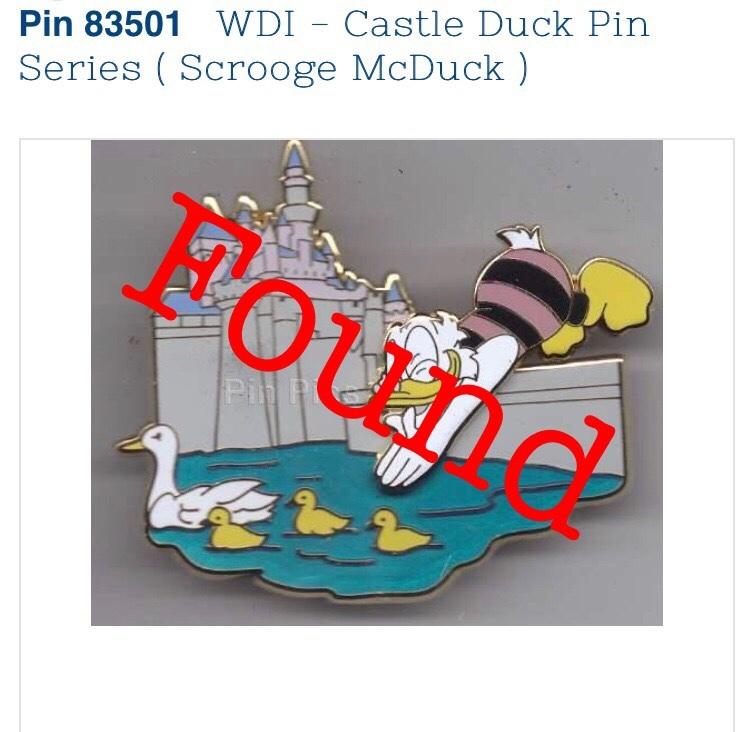 Discussion in 'Completed Pin Sales' started by DeputyDonald, Jul 19, 2018. 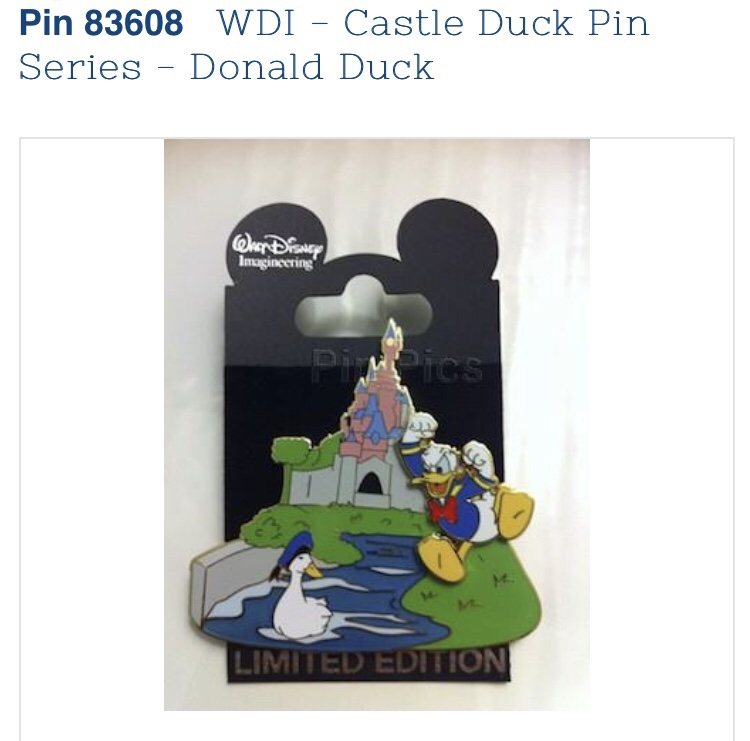 I’m searching for these WDI Castle Duck Pins for trade or sale. If anyone knows someone who may have these for trade or sale please contact me via PM. The Donald pin and the Darkwing/ Launchpad pin are not available for trade on pinpics at this time so that’s partially why I’m reaching out here. If you see any of these on pins on the Bay, FB or in your trading groups let me know. I’ll make it worth your while. Those are super cute! Good luck! We only have pin #83609 with Donald's nephews...good luck with your search! Well thanks for looking anyways! I really do appreciate it. I recently bought my Donald’s nephews pin on the Bay so if mine doesn’t arrive I’ll keep in mind you have one. A couple I trade with often has the Scrooge and Donald. I checked your traders and I didn't see anything they were looking for in particular, but they're big Pooh, Chip & Dale, bunnies and fish collectors. They also only do trades in person and they don't really read Pinpics requests. If it helps I'd be happy to try to work out a 3 way trade. Please do try to work out a 3 way trade. I’ll buy any new pin(s) on card for you that you’re wanting in order to work out a 3 way trade. If you can reach out to them to see if they have either and get back to me I’d really appreciate it. You’re the first lead on these pins I’ve had in a while. SCROOGE found today on the Bay!! GoofyinMadison and Ocean7 like this. Still looking! If anyone has any leads or contacts with pin traders who own this pin let me know. I must have it! I found/received Scrooge and Huey, Dewey, Louie and have a contact trying to acquire the Donald. Still looking for the Darkwing/Launchpad one. Bump! 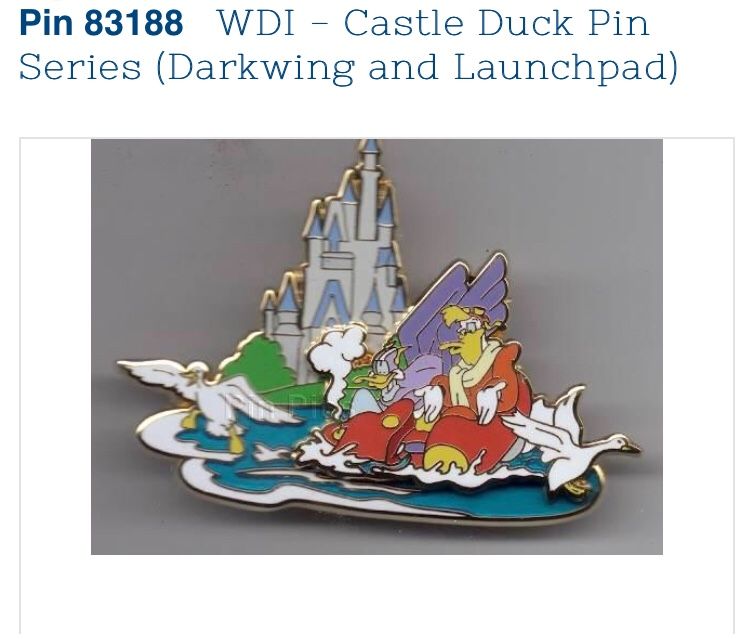 I need that Launchpad/Darkwing Castle Duck Pin! I have this pin. DM me so we can set something up.